Use it after every hunting adventure. Helps the dogs recuperate and get back what they lost. It really helps shorten recovery time! Went on a grouse hunt in Michigan this past week. Dog work was really great and recovery time was minimal for both dogs. 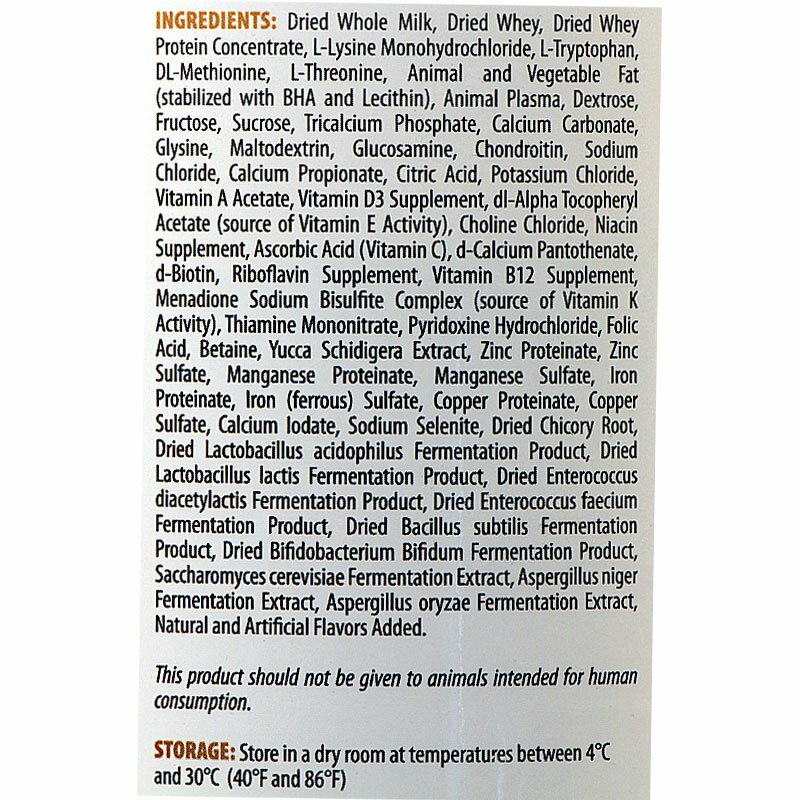 I have English pointers and one of them doesn't like to eat as well as he should so this really helped with recovery and appetite as well. 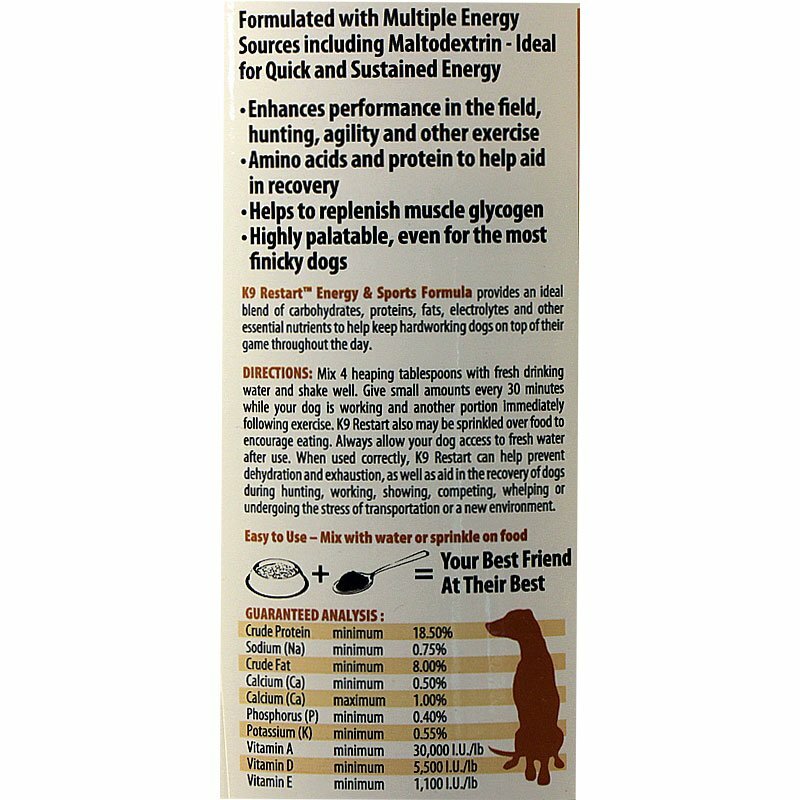 TechMix K9 Restart Energy and Sports Formula -- 2.75 lbs. Formulated with multiple energy sources including Maltodextrin for quick and sustained energy. 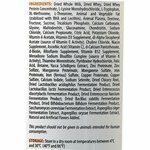 K9 Restart Energy and Sports Formula is a high calorie, high energy formula that promotes endurance and muscle recovery. 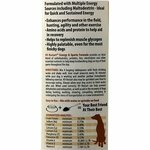 It's ideal for training, conditioning, hunting, and trials. 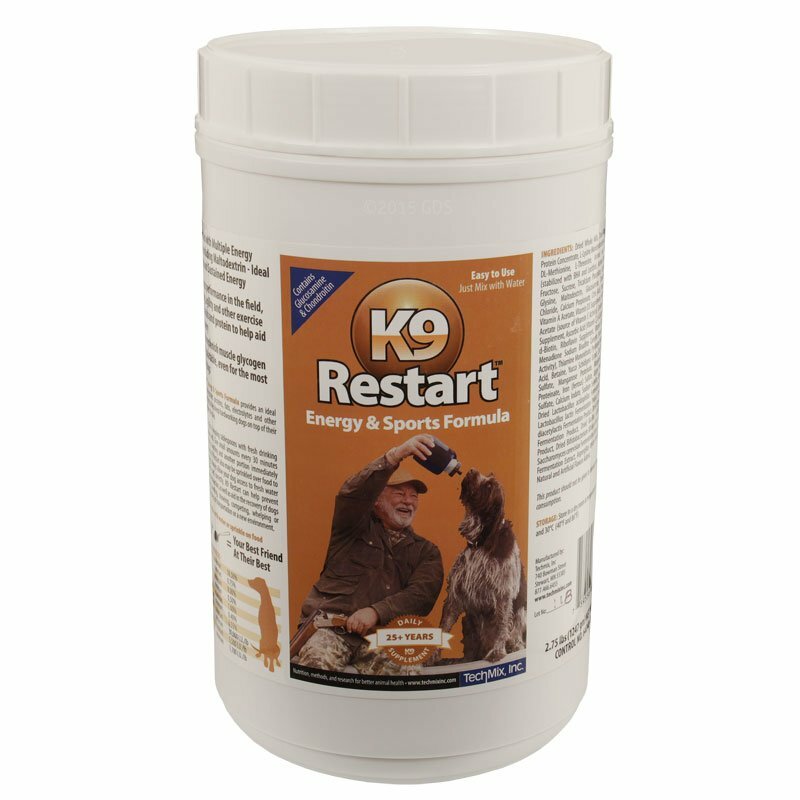 K9 Restart provides an ideal blend of carbohydrates, proteins, fats, electrolytes and other essential nutrients to help keep hard working dogs on top of their game throughout the day. Mix 4 heaping tablespoons with fresh drinking water and shake well. Give small amounts every 30 minutes while your dog is working and another portion immediately following exercise. K9 Restart also may be sprinkled over food to encourage eating. Always allow your dog access to fresh water after use. When used correctly, K9 Restart can help prevent dehydration and exhaustion, as well as aid in the recovery of dogs during hunting, working, showing, competing, whelping or undergoing the stress of transportation or a new environment. Storage: Store in a dry room between 40 degrees F and 86 degrees F.